The sixth annual race is planned for Wednesday, October 2, 2019. Both the marathon and half marathon will start at 8:00AM. 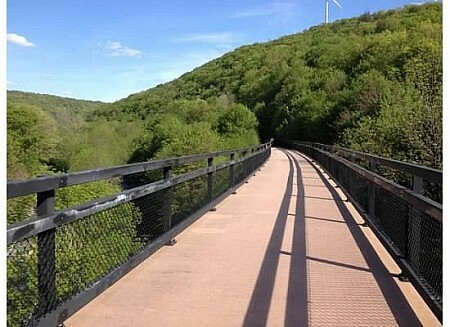 This event will take place in its entirety in Pennsylvania on the outstanding Great Allegheny Passage. 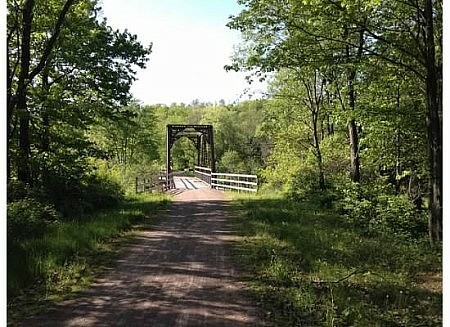 Runners will cross three trestles on the course – to include the 1908 foot long Salisbury Viaduct (pictured above) over the Casselman River Valley, the 910 foot long Keystone Viaduct, and the historic Wills Creek Bollman Truss Bridge. The race start/finish is on the Great Allegheny Passage near the Western Maryland Railway Station at 529 Main Street Meyersdale, PA 15552. This race is the the fifth and final event in the 2019 Mid-Atlantic Marathon and Half Marathon Series taking place from September 28 to October 2, 2019. 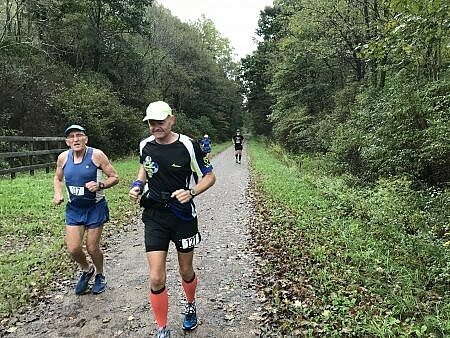 The other events in the Series are the Cross County Trail Marathon and Half, the C&O Marathon and Half, the yet to be named new WV Marathon and Half, and the Hancock Marathon and Half. In order, the five series races take place in VA, DC, WV, MD, PA.
To register click here: Entrant fees: $55 for the half and $70 for the marathon to June 30th, $65 for the half and $80 for the marathon after June 30th, and $70 for the half and $90 for the marathon after August 31st. Online registration closes at 5:00PM Monday September 30th. Runners can also register for the race starting at 7:15 AM race morning at the start/finish, or at the Friday and Saturday night packet pickups – times and locations to be determined. This event is a shirt optional race. Choose the No shirt (subtract $10) shirt option if you would prefer not to have a nice GAP Trestles race shirt. 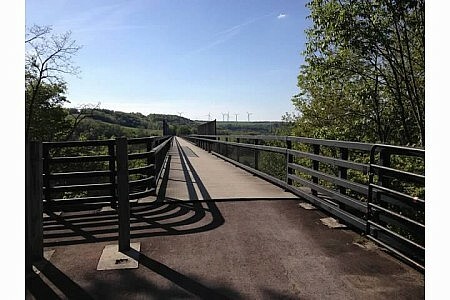 The race start/finish is on the Great Allegheny Passage near the Western Maryland Railway Station at 529 Main Street Meyersdale, PA 15552. Race morning packet pick-up will commence at 7:15 AM at the race start/finish. There is no other pre-race packet pickup. 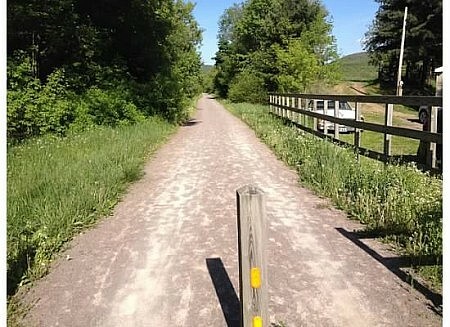 There is a parking lot at the Meyersdale Station adjacent to the trail. 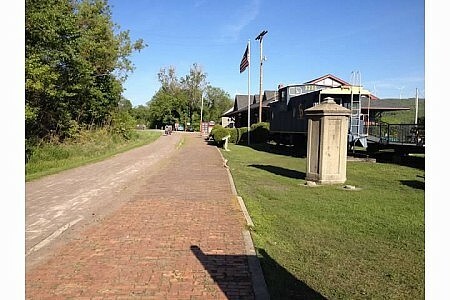 Please drive through the Meyersdale Station asphalt parking lot and park in the gravel parking area. A good satellite image of the Meyersdale Station and parking lot just feet from the start/finish can be seen here. After running the event, it is recommended that you enjoy a tour of the Station. Use this link to obtain directions to the start/finish. There are no hotels in Meyersdale, but there are four Bed and Breakfast locations in Meyersdale. This Trip Advisor link provides some info on those hotels. The Frostburg/Cumberland/La Vale, MD hotels are 30 minutes from the race start/finish. This Trip Advisor link provides some info on the six Frostburg, MD hotels. The finisher awards are produced by Steel Images. An image of the award artwork is above. There are no age group awards or first finisher awards. Great thanks to Steel Images for the fantastic finisher awards! Historical average high and low temperatures in Meyersdale, PA on October 2nd are 64 and 45 degrees. The 2017 marathon results are posted here, and the 2017 half marathon results are posted here. The 2016 marathon results are here, and the 2016 half marathon results are posted here. The 2015 marathon results are posted here, and the 2015 half marathon results are posted here. The 2014 half marathon results are posted here, and the 2014 marathon results are posted here. 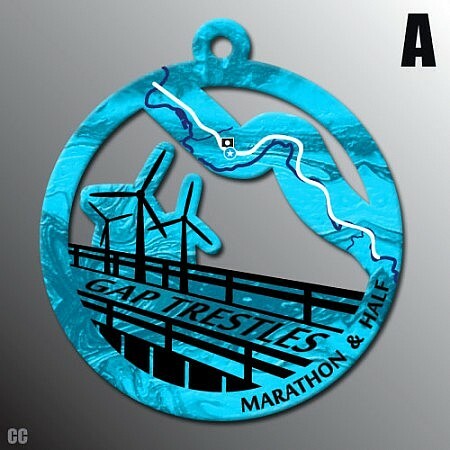 Half marathon runners will pass seven aid stations during their race, and the marathon runners will have 15 aid stations. Runners have eight hours to complete their respective races. As is the case with most races, there will be no refunds of entry fees to entrants. Transfers of race bibs from one runner to another is also not allowed. This event is limited to 75 entrants. There will not be a waiting list if the race fills. If you have any questions please contact Mike at events@altisendurance.com.